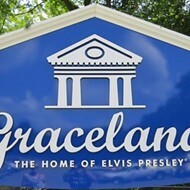 An agreement between the city of Memphis and Elvis Presley Enterprises (EPE) to move forward with a Graceland expansion plan was announced Tuesday during the Memphis City Council executive session. 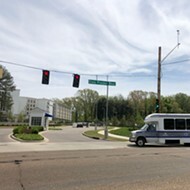 The agreement would allow EPE to move forward with the Graceland Tourism Development Zone Master Plan, with the exclusion of a controversial 6,200-seat arena. The arena has been a point of tension between Graceland and both the city and the Memphis Grizziles. City officials expressed concerns when the plans were announced that granting financial incentives to Graceland to build the arena could violate a non-compete clause it holds with the Grizzlies. The clause prohibits the city from financing any indoor arena with more than 5,000 seats. 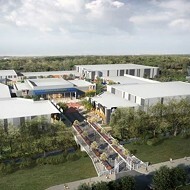 The plan does include additions to the Guest House at Graceland Hotel, expansions to retail and exhibition spaces, as well as construction of 80,000 square feet of sound stages, aircraft hangers, and cabins. 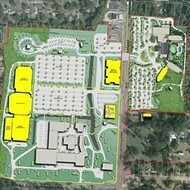 Under the agreement, EPE also agrees to invest a total of $750,000 in the Whitehaven community over a five-year period. For every ticket sold at a Graceland performance that is booked through Live Nation, EPE will donate $1.50 to the community. This will happen on an annual basis for five years. Community groups will be selected to enter a Community Benefits Agreement with EPE, under which the groups will help decide how to disperse funds for the direct benefit of Whitehaven residents. The allocation of the funds will be decided by the community group, along with EPE and the council members representing districts 6 and 3. Under the agree, EPE will also form a company called Newco that will develop manufacturing and distribution facilities in Whitehaven. EPE plans to hire 1,000 full-time equivalent employees, who will make no less than $15.50 an hour. Whitehaven residents will get considered first for those jobs, according to the agreement. This comes as Graceland waits for a final court ruling that would allow it to move forward with its 6,200-seat arena, which was originally introduced as a part of the master plan. Councilwoman Patrice Robinson specified that the council’s resolution does not approve that development or settle the ongoing litigation. “There’s still a lot of work to be done,” Robinson said. The city council will vote on the agreement in two weeks.